What do you know about this particular model? Apparently it's the equivalent of the LS-260 but with different pickups. Looks like a current LS260 AAA Flametop. Perhaps Taniguchi put the SD59 pickups in it...I doubt Tokai did. Yesterday I did an A/B test using an LS92 with SD59 pickups and an LS92 with MK2 pickups...virtually identical. If you've got that kind of money to spend then it's definitely worth it. If you want to spend less then go for an LS160 AAA with MK2 pickups, and if you really want to spend a lot less then go for an LS98F or LS92 with MK2 pickups...they're all worth it. The LS-160 (or a used LS-150) is what I was originally looking for but, as a lefty, I doubt I'll be able to find one. What are the differences in terms of woods between the LS-260 and the LS-160? Is it the same mahogany grade for the body/neck? Hi old lefty, I know exactly what your going through looking for a high end lefty Tokai as I'm a lefty also. I asked for help and some advice here a couple of years ago and with the help of Tokai Joe , no longer a forum member, unfortunately! I imported, well Joe did all the work really, as they were not exporting guitars overseas at the time, a LS 210L VF. 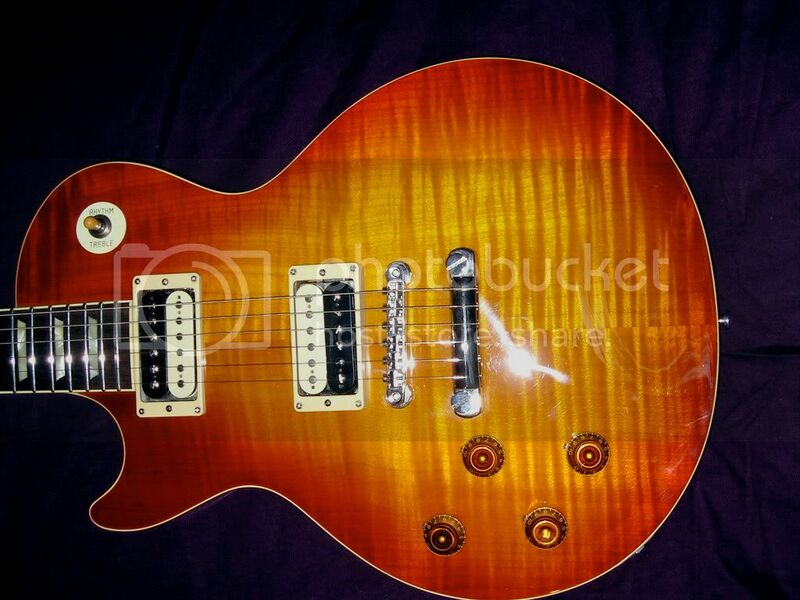 This is exactly the same spec as the guitar you are looking at and it's a fantastic guitar. Mine has the same pick ups and they give a great vintage sound, although I must say the top on my guitar is a lot nicer than the one on the guitar in your link IMHO. Where are you in the world?.....England? Hi bazz, at last a fellow lefty with the same model! I agree, your LS210 has a nicer top.Looks more like 4A or 5A to me. To be honest I would settle for a plain top with a lower price. I got a quote: 210000 yens (around ?1600) shipped (plus import duty, VAT, miscellaneous fees and whatnot). Maybe not a bad deal but exchanging emails with Taniguchi is extremely slow and painful.I requested extra pictures, to no avail. With the language barrier I think I'm better off giving up. Is going through Tokai Gakki directly an option? Worked for me when I wanted a TJ98(L). No European dealer/importer would/could get their hands on one. Tokai was a pleasure to deal with. They won't be cheaper than Taniguchi, but they'll answer your emails. Why don't you buy this guitar from Richtone? Well, it used to be and maybe still is but there will be a significant price difference since you don't get the discounted price Taniguchi offers.